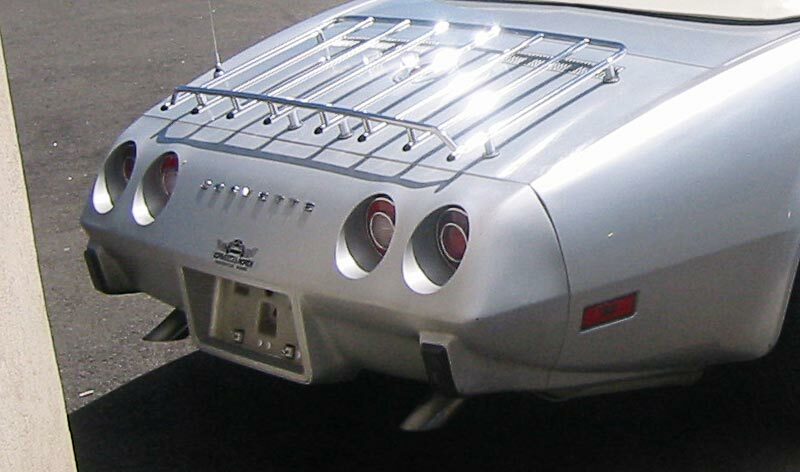 For 1975, the rear bumper became a one piece design. Also added: black tipped bumper under riders. Right: 1975 was the last year for the Astro Ventilation system. Below: After 1975 the convertible went on hiatus; it returned in 1986. The front bumper was updated with vertical black over riders. The 454 cubic inch engine, which had a five year 1970 through 1974 run, was no longer available. Starting in 1975, the center console no longer displayed a engine horsepower rating. 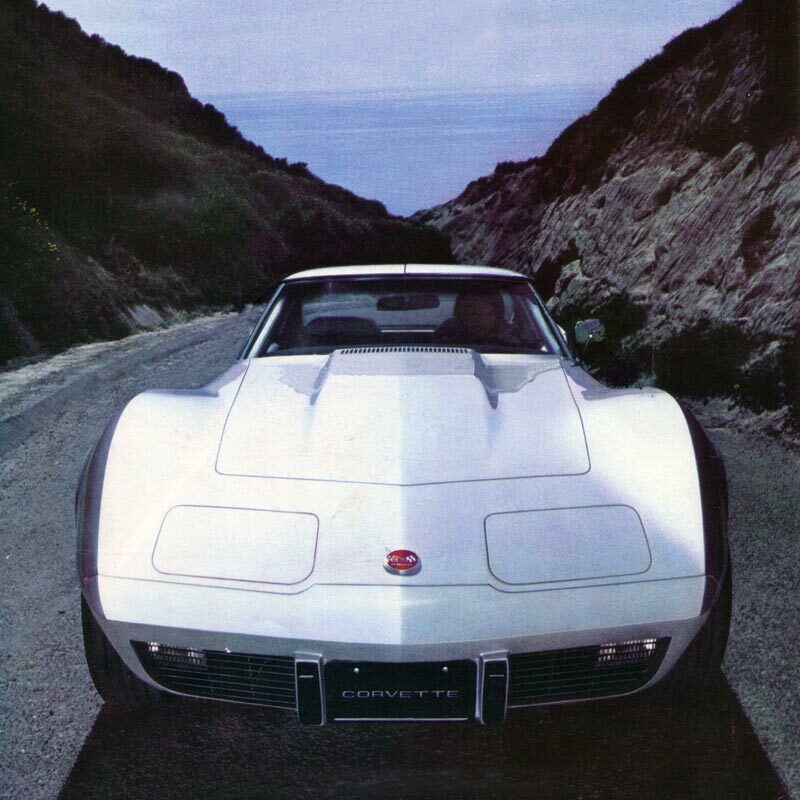 The hood for the 1976 Corvette was distinctive for that year. Under the hood, air intake was changed from near the cowl to over the radiator. 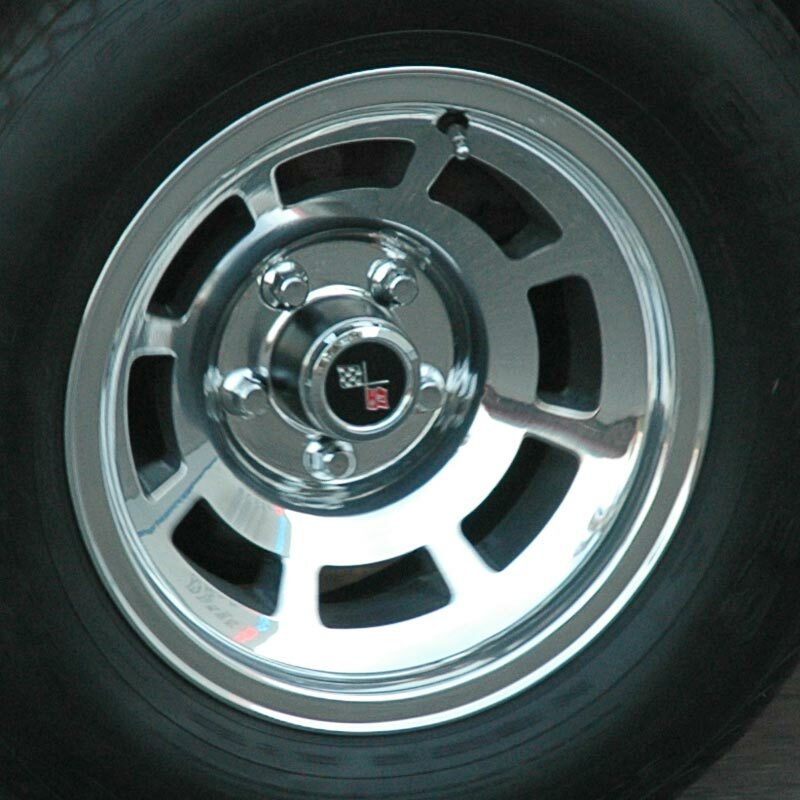 Above, left: Aluminum wheels, whose availability was promised on options list since 1973 finally became available in 1976. The spare tire was still steel. 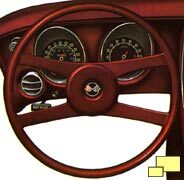 Right: The four spoke steering wheel - new for '76 - was the same as the "sport" steering wheel on the Chevrolet Vega. The idea of sharing this important part with the cheaper economy car was not well received and the mistake was not continued after 1977. Owners also complained that it obscured the view of the instruments. 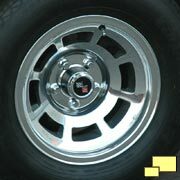 A number of parts, mostly interior, that were intended for 1977 Corvettes found their way into late production 1976 Corvettes. 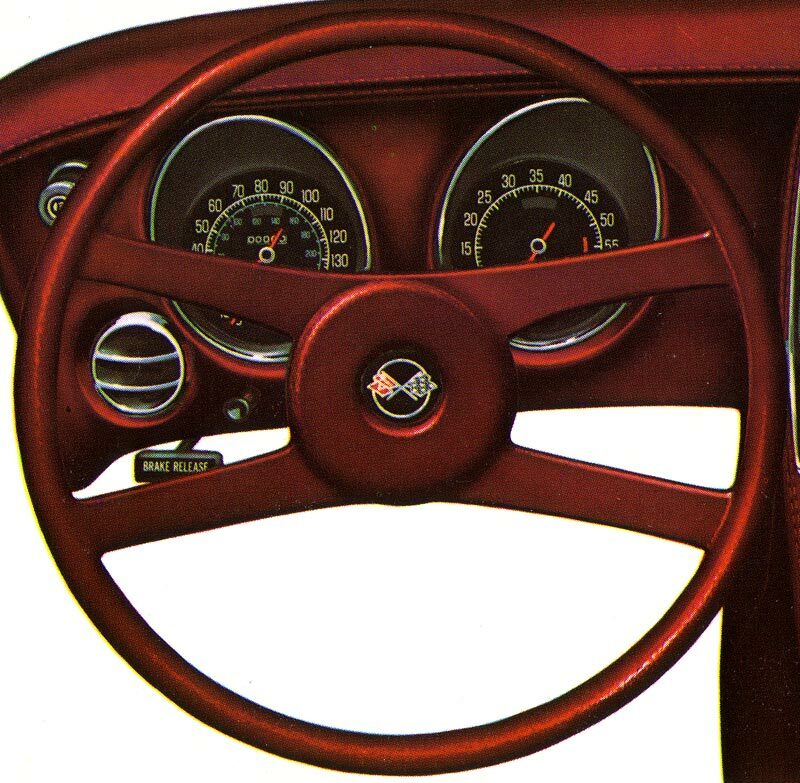 These included a shorter steering column and a windshield mounted rear view mirror.